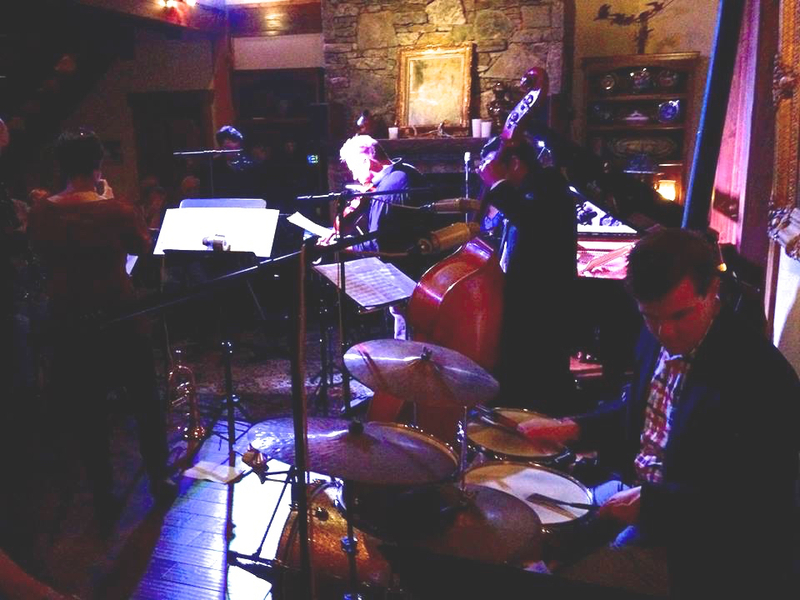 The Mountain Chamber Jazz Ensemble is a hybrid ensemble consisting of a string section (violin, viola, cello, contrabass), a percussion section (drums set, percussionist, vibraphone and piano), a brass section (trombone and trumpet) and a woodwind section (clarinet, flute, tenor saxophone, baritone saxophone, alto saxophone). 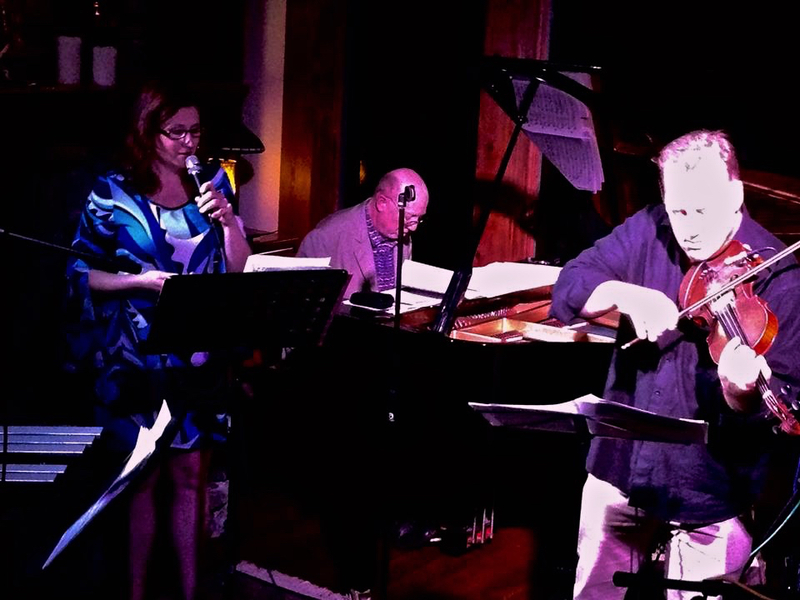 This ensemble utilizes elements from jazz, classical, rock, Latin and other music. The music is primarily acoustic and, while the group normally consists of 8 – 15 instrumentalists, the vocal aspect of the music is equally or even more important to the overall aesthetic of the ensemble. There is equal weight given to the two main facets of this music: the composed material and the improvisational sections. The textures vary greatly between compositions. When the strings predominate one immediately notes the classical music influence. When the horns solo (individually or in a group), there is a distinct jazz influence in the music. When the percussion section is featured the music can range from a Latin feel to a rock or funky feel. 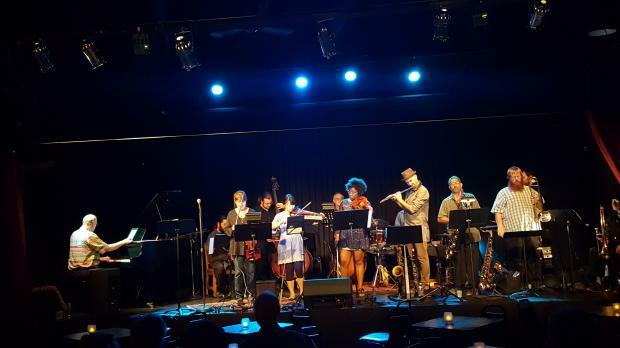 The pool of musicians includes but is not limited to: Christian Howes (violin), Erisa Goto (Violin), Candace English (violin), Rick Dilling (drums), Justin Watt (drums), Ben Bjorlie (drums), Bill Berg (drums), Zack Page (bass), Danny Iannucci (bass), Bill Fouty (bass), Ryan Kijanka (bass), Gina Caldwell (viola), Anya Yarbrough(viola), Franklin Keel (cello), Jason DeCristofaro (vibraphone), Rob Falvo (percussion), Jason Moore (sax, fl, cl), Frank Southecorvo (saxophones), Walter Kross (sax, fl, cl), Doran Heck (sax, fl), Woody Dotson (tpt), Justice Mann (tbn), Harold McKinney (tbn), Katie Cilluffo (voice), Wendy Jones (voice and flute,voice) and myself on piano and electric piano. Michael Jefry Stevens has for years a group with Joe Fonda, which is natural to understand perfectly, in its open and lyrical musical style. Focusing on the mid and high side of the keyboard, Mr. Stevens sometimes resorts to rich harmonies and percussive patterns that repeat obsessively. His role is perhaps the most impressive since, surely un-intentionally, he diverts attention from the listener into his piano at all times. impressed us among the many who have gone on the stage of the festival. 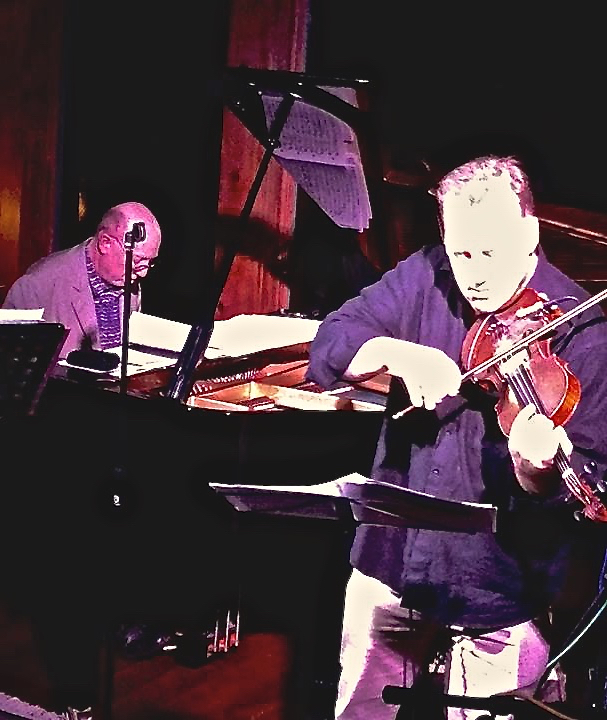 “The band seamlessly flowed into the song 'What About The Future', which composer Michael Jefry Stevens with elements of classical music, avant­garde jazz and the contours of a golden triangle clearly defined. Pianist Michael Jefry Stevens and bassist Joe Fonda function as a duo in the most diverse situations, and where Fonda is the man with the presence, the humble Stevens gives in many cases the music just what makes them exciting and accessible at the same time. Michael Jefry Stevens Septet "In the Garden"
Michael Jefry Stevens Septet "Poland"
Michael Jefry Stevens Septet "Mantra #2"